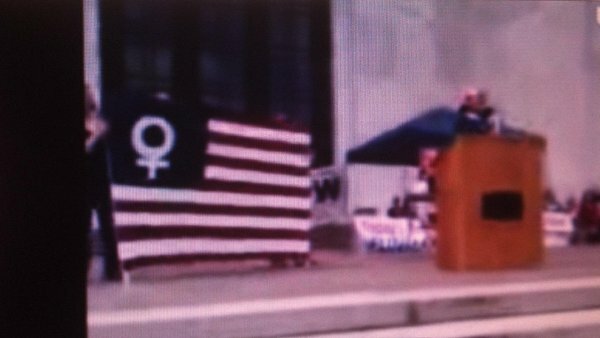 Numerous Oregon Democratic candidates for office, union representatives, and assorted professional victims held a rally today on the Capitol steps, accompanied by an American flag, altered to proudly display the “woman” symbol. An amalgam of blatant political pandering, shrieking protests, and bad feminist poetry resounded from the Capitol block of Court Street downtown. So what is the cause that brought hundreds of people together in protest on such a rare, sunny Oregon day? Gathered under the hashtag #UAWOW (United Against War On Women), these people were single-mindedly fighting back at this imaginary war that’s being “waged by politicians and pundits pushing extreme agendas designed to strip women of their basic human rights.” Or so Suzanne Bonamici claimed, when describing how Republicans are turning back the clock to the 1950s, defunding children’s health care, and generally pounding on their scary, chauvinistic podiums. Other speakers included Kate Brown, Oregon’s corrupt Secretary of State of #KorruptKate fame, Katie Riley, and Joyce Segers, among many others. Planned Parenthood was also, naturally, there, as was the typical alphabet soup of progressive groups mingling amongst the assemblage, including the IBEW, AFL-CIO, NOW and the AUW. One after the other, speakers approached the podium to dutifully and enthusiastically push the leftist meme du jour. Joyce Segers, running for congress in eastern Oregon, described her dismay at having to live under a patriarchal system that epitomizes the male mentality of what women are, and decried the injustice of insurance covering penile implants for men instead of contraceptives for women. Nicely done Ms. Segers; way to work in penises and rural Oregon. The crowd, many bussed in by the unions, was excited and smiling and holding their signs, some adorned with words I can’t repeat in polite company. They obediently booed and hissed on cue. The Raging Grannies, a musical group, came all the way up from Corvallis to amuse everyone with reworked Christian hymns and traditional songs that I will charitably describe as unfunny at best and downright offensive at worst. With lyrics like “This old gray Granny ain’t what she used to be, had a hysterectomy, needs a colonoscopy, but she can’t afford to pay for her care and so I guess we’ll have to shoot the old gray granny now.” Charming. However, what I found most disconcerting was the shameless pandering by the numerous Democrat candidates in attendance. Now I know that both sides use events like this to reach out to potential voters, but the rhetoric these candidates shoveled out was over the top. HD 29 candidate Katie Riley confusingly claimed that she had a professor in graduate school that refused to give her an A because he had to give them to her male classmates who were supporting families. Um, really, Ms. Riley? I think you got your “I’m a victim of discrimination just like you” anecdotes mixed up just a wee bit. Overall this was your typical liberal rally peopled by your typical liberal operatives. While the relatively small crowd behaved itself and dutifully followed along with the random, asinine chants, the progressives, in conjunction with their lap-dog media drones, are working diligently to advance this absurd and false agenda. However, I’m not at all convinced that it’s working. Today’s group was small and filled with the true believers, many of whom were given a free ride there and back, so the candidates and other speakers where not reaching any new sheep for their feminist flock. 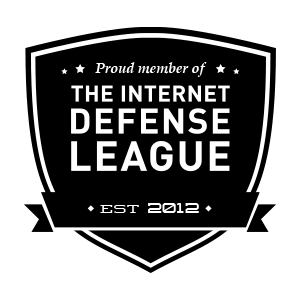 The “war on women” narrative has already become a casualty of the numerous hashtag hijackings that many conservative folks like me are participating in on Twitter. As the left knows very well, ridicule is our most potent weapon. Up-Twinkles! well thought out and presented. Lots of food for thought. It would be great if the partisipants in the rally could pull the wool off their eyes . and maybe read and listen to others views before reciting thier many times. altered– unsubstaniated and- dogmatic much repeated devisve partyline rhetoric.